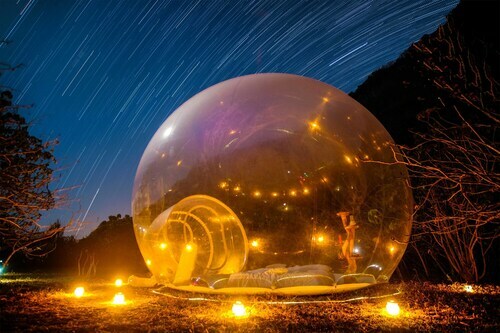 Nestled on the beach, this Pecatu campground is within 3 mi (5 km) of Uluwatu, Uluwatu Temple, and Uluwatu Beach. Uluwatu Cliffs is 2.5 mi (4.1 km) away. Situated in the mountains, this campground is within 2 mi (3 km) of Ulun Danu Temple, Bali Botanic Garden, and Bali Treetop Adventure Park. Munduk Waterfall and Gitgit Waterfall are also within 12 mi (20 km). 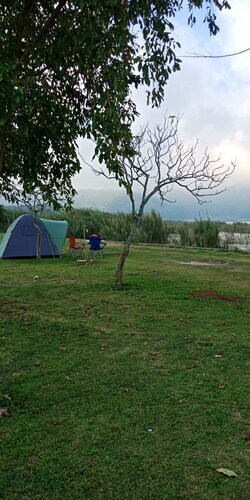 Situated in Munduk, this campground is within 6 mi (10 km) of Munduk Waterfall, Santhipala Waterfall, and Tamblingan Lake. Umejero Falls and Banjar Hot Springs are also within 12 mi (20 km). Sigh. There it is. Another post of your friend’s epic adventure, where they went to the back of beyond with nothing more than a stick and a canteen of water. You like the great outdoors as much as the next person, but you also like having creature comforts on your holiday. 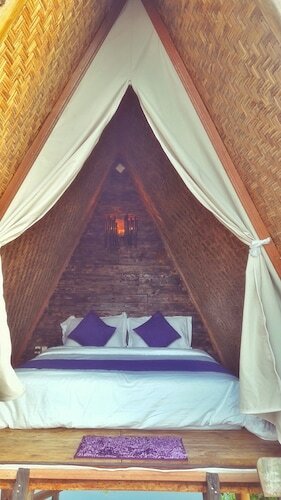 You want a Bali caravan site where you can get back to basics but not have to worry about packing any survival gear. Well, you’re in luck. Wotif has plenty of Bali caravan camping options, which lets you strike that rare balance between the Great Outdoors and its cousin, the Great Indoors. You didn’t travel to Bali to stay cooped up in a hotel all day, though. We know you like to get out and sightsee as much as you can. And when you’re done exploring Bali you’ll find the caravan sites have all the amenities you’ll need to stay comfortable—and make heaps of new friends. One of the best parts of campervanning are the connections you’ll forge with fellow travellers. Grab afternoon tea with the retirees in the next lot as the kids play with their mates. Not sure which Bali location to choose? Flip through some reviews and let your fellow travellers’ comments help you decide. You don’t need to hire a mountain guide to enjoy all the natural beauty of Bali. We have sweet deals on everything from family-friendly to pet-friendly caravan parks for a bargain. Grab it and go, and leave the serious altitude training to someone else.